Suncoast Seminar Sponsored by Pinellas Optometric Association (POA) is organized by Florida Optometric Association (FOA) and will be held from Apr 27 - 28, 2019 at Hyatt Regency Clearwater Beach Resort and Spa, Clearwater Beach, Florida, United States of America. Additional details will be posted as soon as they are available. 25th Annual Association of Professors of Human and Medical Genetics (APHMG) Workshop is organized by Association of Professors of Human and Medical Genetics (APHMG) and will be held from Apr 30 - May 03, 2019 at Clearwater Beach, Florida, United States of America. Additional details will be posted as soon as they are available. Association of Children's Prosthetic-Orthotic Clinics (ACPOC) Annual Meeting 2019 is organized by The Association of Childrens Prosthetic-Orthotic Clinics (ACPOC) and will be held May 1 - 4, 2019 at Hilton Clearwater Beach Resort & Spa, Clearwater Beach, Florida, United States of America. The target audience for this medical event is Physicians, orthotists, prosthetists, nurses, social workers, rehabilitation engineers, physical and occupational therapists, and other health professionals who care for children with orthopaedic and related disabilities will benefit. Conference Objectives are: The objectives of this annual meeting are to present and evaluate new ideas, techniques and methodology and treatment of children with limb deficiencies, and to provide the participants with an opportunity to clinically evaluate and directly interact with proponents of new research knowledge pertinent to the management of these children. Participants will hear and view presentations in a variety of formats including scientific paper presentations, posters, symposia, and special presentations. There will be an opportunity for speakers to present challenging cases and creative solutions. A technical and scientific workshop format is used to present new approaches and ideas to difficult or unsolved problems. Additional details will be posted as soon as they are available. Primary Care Network (PCN) Destination Conference is organized by Primary Care Network (PCN), Inc and will be held from Jun 20 - 22, 2019 at Hyatt Regency Clearwater Beach Resort and Spa, Clearwater Beach, Florida, United States of America. This CME Conference has been approved for a maximum of 12 AMA PRA Category 1 Credits™. Accreditation: Physicians: Primary Care Network designates this live activity for a maximum of 12 AMA PRA Category 1 Credits™. Physicians should claim only the credit commensurate with the extent of their participation in the activity. ABIM MOC: Successful completion of this CME activity, which includes participation in the evaluation component, enables the participant to earn up to 12.0 Medical Knowledge MOC points in the American Board of Internal Medicine’s (ABIM) Maintenance of Certification (MOC) program. 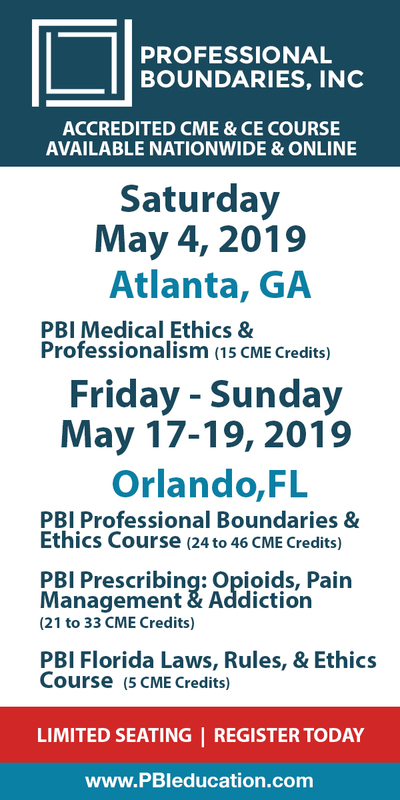 AAFP: This Live activity, Tired, Inflamed and In Pain: Best Practices, Future Therapies and Integrative Medicines, from 04/12/2019 – 10/12/2019, has been reviewed and is acceptable for up to 12.00 Prescribed credits by the American Academy of Family Physicians. Physician Assistants AAPA accepts certificates of participation for educational activities certified for Category 1 credit from AOACCME, Prescribed credit from AAFP, and AMA PRA Category 1 Credits™ from organizations accredited by ACCME or a recognized state medical society. Physician assistants may receive a maximum of 12 hours of Category 1 credit for completing this program. Nurse Practitioners/Nurses The American Academy of Nurse Practitioners Certification Program (AANPCP) and American Nurses Credentialing Center (ANCC) accept AMA PRA Category 1 Credit™ from organizations accredited by the ACCME. All other healthcare professionals will receive a certificate of participation. Conference Description : Primary Care Network proudly presents PCN Destinations: Where CME and Relaxation Come Together, a series of cutting-edge continuing medical education conferences set in fabulous vacation destinations across the United States. Focusing on topics important to primary care providers in an intimate and interactive environment. Half day morning sessions feature the latest advancements in diagnosis and treatment, challenging case studies and group discussions while leaving your afternoons free for exploring, relaxing, and having fun. The goal is to recharge your energy level and your knowledge! Bring your family, friends or colleagues and enjoy a mini-vacation while earning CME credit. Feel at home on America’s # 1 beach! Hyatt Regency Clearwater is a residential-like escape step from the Gulf and famous Pier 60. Sprawl out in one of their over-sized rooms, stock your fridge with favorites and dine on your balcony. Kids can enjoy Camp Hyatt, fun-filled days featuring arts and crafts, board games, Kinect tournaments, shell combing, swimming, walks to the playground, and more. After a sun-drenched day, watch a breathtaking sunset from the 8th-floor pool deck, unwind at the Spa, or catch a bite at the award-winning seafood restaurant, SHOR. Clearwater Beach was named the best beach in the United States and seventh-best in the world by TripAdvisor in 2018. Clearwater Beach is characterized by white sand beaches stretching for 2.5 miles along the Gulf and sits on a barrier island. The area offers shopping, restaurants, and activities such as parasailing, jet ski rentals, boat tours (with a common sighting of dolphins in the Gulf waters), miniature golf, fishing charters, and “pirate ship” cruises. Note: Use Early Bird Code: EB-2019 Additional details will be posted as soon as they are available. Anesthesia Update is organized by Northwest Anesthesia Seminars (NWAS) and would be held during Jul 22 - 25, 2019 at Opal Sands Resort, Clearwater Beach, Florida, United States of America. The target audience for this medical event for physicians, certified registered nurse anesthetists, physician assistants, nurse practitioners, registered nurses and other medical care providers who must maintain state-of-the-art knowledge of the specialty or are impacted by it. This CME Conference has been approved with a maximum of 20 AMA PRA Category 1 Credits. Conference Objectives : • Apply the pertinent physical and behavioral sciences - to include but not be limited to advanced anatomy and physiology, pathophysiology, chemistry, physics, psychology, and social sciences - as they impact and are affected by the planning, delivery, and monitoring of anesthesia and related services inherent in the anesthesia professions. • Explain the selection, dosing considerations with methods of administration, safe use, and contraindications and precautions of presented pharmacological agents through the understanding of their physico-chemical properties, pharmacokinetics and pharmacodynamics, updated uses, and more recently developed additional, related, and similar drugs. • Outline comprehensive management plans for the group of patients discussed, whether related in age, physical status, cultural background, invasive procedure, anesthetic or analgesic requirements, clinical setting, adverse reactions, and/or goals of care. • Apply the principles of safety and asepsis in the performance of anesthetic procedures and administrations, equipment use, and other applications encountered during the provision of anesthesia and analgesia whether in the surgical unit, the labor and delivery suite, the pain management clinic, or other more remote location of anesthetizing services. • Incorporate the appropriate recommendations and/or requirements of pertinent external organizations, institutions, and professional groups - recognized as serving as the authority for and/or holding the responsibility to compile and approve such tenets - in the provision of anesthesia and related services, whether medical, legal, philosophical, ethical, or health care management standards. • Apply the new techniques in the clinical setting of the participant. 13th Annual Update in Liver and Gastrointestinal Diseases is organized by University of Florida (UF) College of Medicine and will be held from Jul 26 - 27, 2019 at Opal Sands Resort, Clearwater Beach, Florida, United States of America. Target Audience: This Activity Has Been Designed To Meet The Educational Needs Of Internists, Gastroenterologists, Hepatologists, Surgeons, Nurses, Residents And Fellows In The Management Of Different Liver And Gastrointestinal Diseases. Accreditation: Physicians: The University Of Florida College Of Medicine Designates This live activity for a maximum of 7 AMA PRA Category 1 Credits™. Nurses: Suwannee River Area Health Education Center, Inc. is a Florida Board of Nursing approved provider of continuing education. CE Broker Provider ID #50-1922. This program meets the requirements for up to 7.0 contact hours Objectives: At The Conclusion Of This Conference, Attendees Should Be Able To: • Discuss The Current And Future Therapeutic Advances And The Role Of Response-guided Therapy In The Treatment Of Hepatitis C. • Describe The New Cdc Recommendations For Hcv Screening. • Implement State-of-the-art Advances In The Management Of Viral Hepatitis, Cirrhosis And Screening Of Hepatocellular Carcinoma. • Recognize New Innovations In Endoscopic Submucosal Dissection. • Explain Recent Therapies For Liver Cancer Including Immunotherapy, Hormone Therapy, Chemotherapy And Radiation Therapy. • Identify Distinctive And Effective Clinical Management Strategies Of Inflammatory Bowel Disease. • Discuss Current And Emerging Evidence Based Treatment Strategies In Liver Transplantation. • Comprehend New Information On The Advances In Portal Hypertension And Fatty Liver Disease. • Discuss The New Advances In Chronic Pancreatitis. • Describe Use Of Eus As An Interventional Tool. Orthopaedics for the Primary Care Practitioner & Rehabilitation Therapist is organized by Foundation for Orthopaedic Research and Education (FORE) and will be held from Jul 26 - 28, 2019 at Sandpearl Resort, Clearwater Beach, Florida, United States of America. Target Audience: Primary care practitioners, nurse practitioners, physician assistants, physical therapists, occupational therapists, athletic trainers, and any allied healthcare professional whose scope of practice or profession includes orthopaedics. Course Description: This course is designed to provide healthcare professionals with the most current diagnostic and treatment options in every orthopaedic subspecialty. A distinguished faculty will present recent advances in pediatrics, trauma, & fracture fixation, arthritis, joint reconstruction, sports related conditions, spine surgery, biologics, and physical therapy. Participants will be given ample time for interactive discussions, and opportunities to interact with faculty, plus hands-on workshops. Course Objectives: Upon completion of this activity, participants should be able to: • Review common musculoskeletal ailments • Discuss updates in treating common orthopaedic injuries • Assess appropriate diagnostic imaging tests • Evaluate indications for referral to a specialist with regard to hip & knee disorders • Develop new approaches to relieve pain and improve function; specifically the painful shoulder • Evaluate existing therapies to enhance treatment Additional details will be posted as soon as they are available. 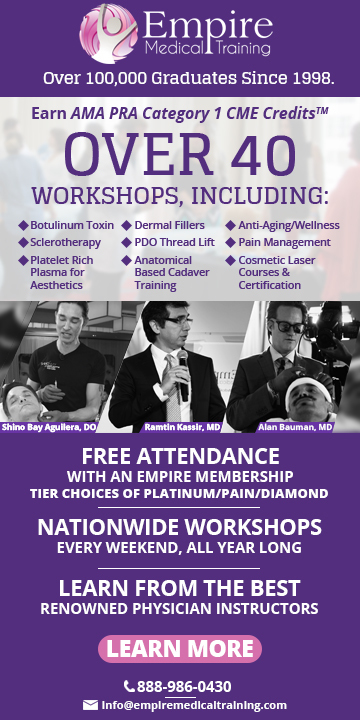 Functional Occlusion - From TMJ to Smile Design is organized by The Dawson Academy and will be held from Oct 10 - 11, 2019 at Clearwater Beach Marriott Suites on Sand Key, Clearwater Beach, Florida, United States of America. The target audience for this medical event is General Dentists, Specialists, Lab Technicians. This CME Conference has been approved for a maximum of 16 CE Credits. Course Description: This dental seminar is the recommended first step in our dental seminars continuing education. As the foundational seminar in the “Concept of Complete Dentistry® Series,” you will learn the timeless message that good, esthetic and complete dentistry must begin with a thorough understanding of dental occlusion and the functions of the masticatory system. Discover the cornerstone of The Dawson Academy philosophy, a comprehensive understanding of how the TM joint, muscles, proprioceptive input, lower anterior teeth, upper anterior teeth, lower posterior teeth and upper posterior teeth are designed to function in harmony with one another. Course Objectives: • A scientifically based, practical approach to occlusal management in everyday practice. • The 10 factors critical to a stable occlusion and how applying them results in long-term success of your general and cosmetic cases. • How to identify, prior to treatment, which patients pose a risk of future instability. • An examination process that gets the esthetically driven patient to care about the functional implications critical to long-term success. • How to know precisely where teeth need to go for veneers, crowns, and implant supported restorations. • When it is safe to open vertical and when not to do so. • Why porcelain chips and breaks and how to eliminate breakage from your practice. • Step by step processes utilizing checklists for functional-esthetic analysis and treatment planning. • How to efficiently take the necessary diagnostic records for comprehensive diagnosis and treatment planning. • A thorough examination process and how to implement it in your practice. • How understanding occlusion saves you time, increases profitability and reduces stress. Additional details will be posted as soon as they are available. Suncoast Seminar Sponsored by Pinellas Optometric Association (POA) is organized by Florida Optometric Association (FOA) and will be held from Apr 25 - 26, 2020 at Hyatt Regency Clearwater Beach Resort and Spa, Clearwater Beach, Florida, United States of America. Additional details will be posted as soon as they are available. Florida Optometric Association (FOA) Suncoast Seminar is organized by Florida Optometric Association (FOA) and will be held from Apr 24 - 25, 2021 at Hyatt Regency Clearwater Beach Resort and Spa, Clearwater Beach, Florida, United States of America. Additional details will be posted as soon as they are available.